RESOLVE: Direct Action is a thrilling, action-packed one-shot that takes place in the months leading up to Patriot-1. 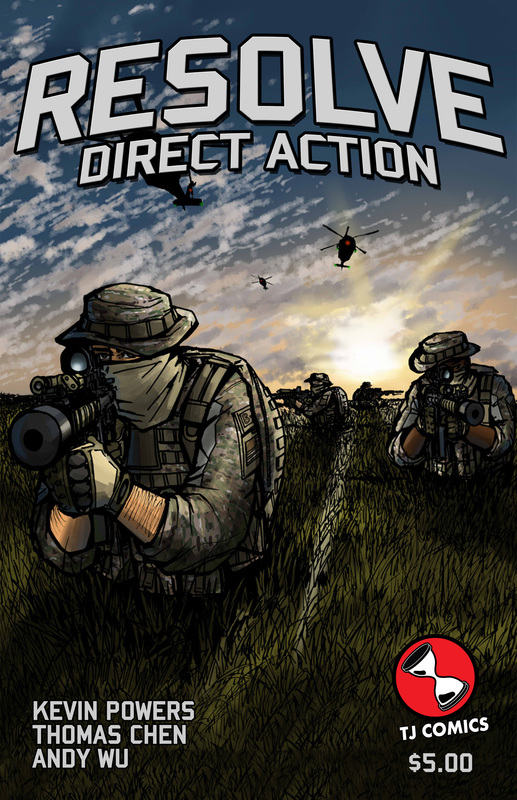 Though not a direct prequel to the IPPY Award winning graphic novel, RESOLVE: Direct Action features the same realistic storyline and high-octane action present throughout Patriot-1. RESOLVE: Direct Action follows a Delta Force team as they are sent to rescue a Hollywood actress taken hostage by militants. Striking with speed, precision and deadly accuracy, the team discovers some troubling information about a mysterious group that has taken interest in recruiting the militants.